If you are searching around for great new Kia lease deals for a Kia near Waukesha, then you have come to the right place with the Ewald Kia dealership in Oconomowoc WI! With Ewald Kia dealers, you get a wide selection of new and used Kia cars for sale, right here in Wisconsin, that all offer you excellent power, efficiency, and reliability to help you through your everyday tasks! With Ewald Kia lease deals, you can save plenty of money on an excellent new Kia car for sale, and with the wide selection of Kia cars for sale to choose from with Ewald Kia of Oconomowoc, you are sure to find a great price on the new Kia car for sale that best suits your needs and lifestyle! Come on in to your local Ewald Kia dealers today and find the right Kia lease deal for you today, like this new 2016 Kia Optima EX for sale! This new 2016 Kia Optima EX for sale is a fantastic and stylish new car for sale! Proudly displaying a 2.4L DOHC I4 GDI Engine, this new 2016 Kia Optima EX for sale gets you up to 185 Horse Power, providing you with more than enough speed to accomplish all of your daily tasks with no problem! 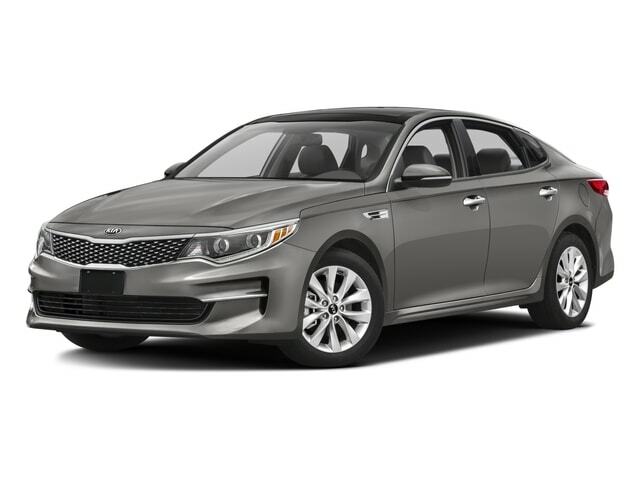 Also featured on this superb 2016 Kia Optima EX for sale are features such as its Wireless Cellphone Hookup system, which provides an easier, and safer, way to communicate with the outside world while driving, as well as Leather Seats that will keep you comfortable and cozy throughout every driving session, and will have you traveling in style to every destination. Come in to your local Ewald Kia dealers and take a look at this new 2016 Kia Optima EX for yourself! For more information on our Kia lease deals come to our location at 36883 E Wisconsin Ave Oconomowoc, WI 53066, and schedule one for a test drive today!